The uilleann pipes are an incredible piece of Irish heritage. This unique wind instrument, a close cousin of the Scottish bagpipes but powered by a bellows rather than the breath, makes a distinctive and awesome sound that to many is the essence of Irish music. 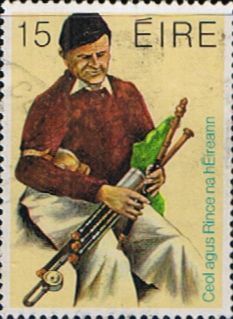 The uilleann pipes also have colored the fabric of Irish-American cultural history, as the modern pipes were developed here in southeast PA in the late nineteenth century by Irish immigrants the Taylor brothers. Uilleann Pipes Workshop, recorded live in Philadelphia at the 1979 Philadelphia Ceili Group Music and Dance Festival.